The Vitrex Premium Moulded Paint & Odour Mask with charcoal filter, provides relief from household odours and irritants. Ideal when using both brush and roller application of domestic paint and varnish. With breathe-easy valve for extra comfort even when exerting greater physical effort/body movement. 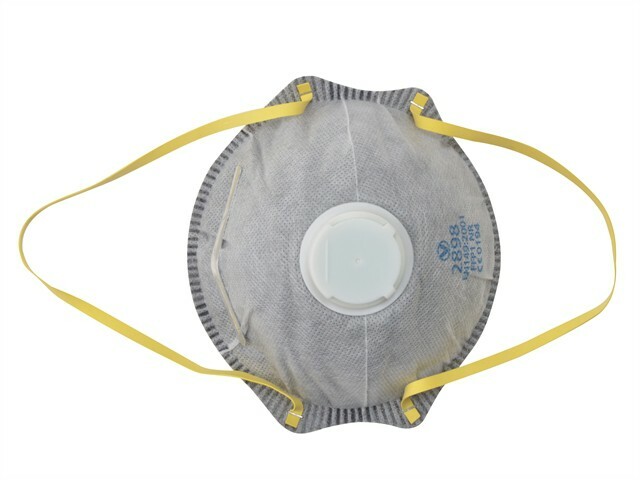 Protects lungs against fine non-toxic particles.